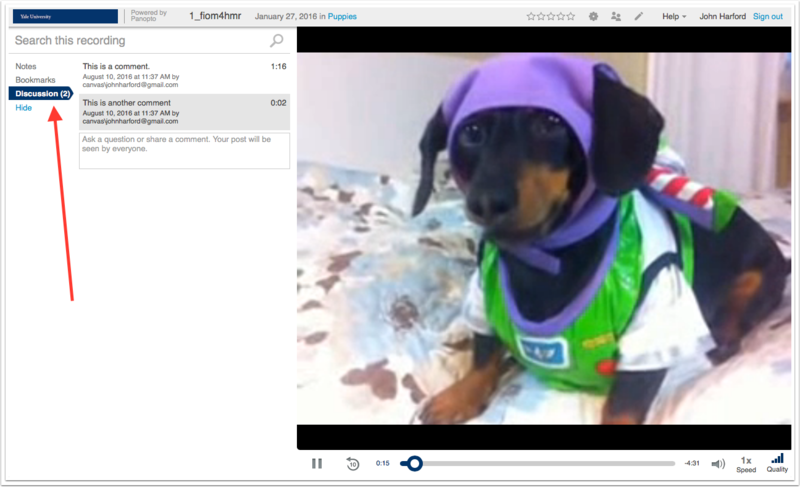 Canvas @ YaleInstructor Guides Media LibraryHow instructors and students can comment in video? When playing a video, select discussion on the left hand side of the video player. This will display name and comments along with time points in the video when the comment is made. Prev: How can I copy/move multiple items to another folder? Next: How can I see viewing habits?